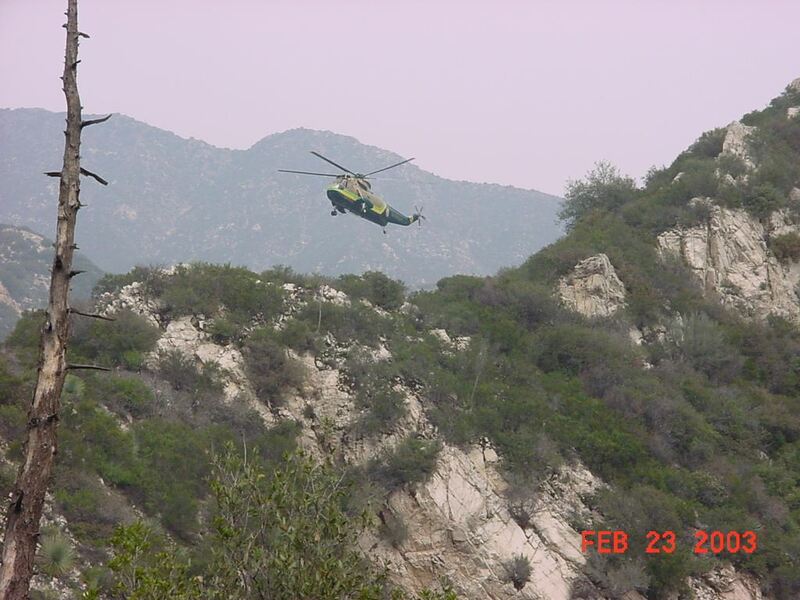 While hiking in the Angeles National Forest near Switzer Falls, I heard the roar of an approaching helicopter. 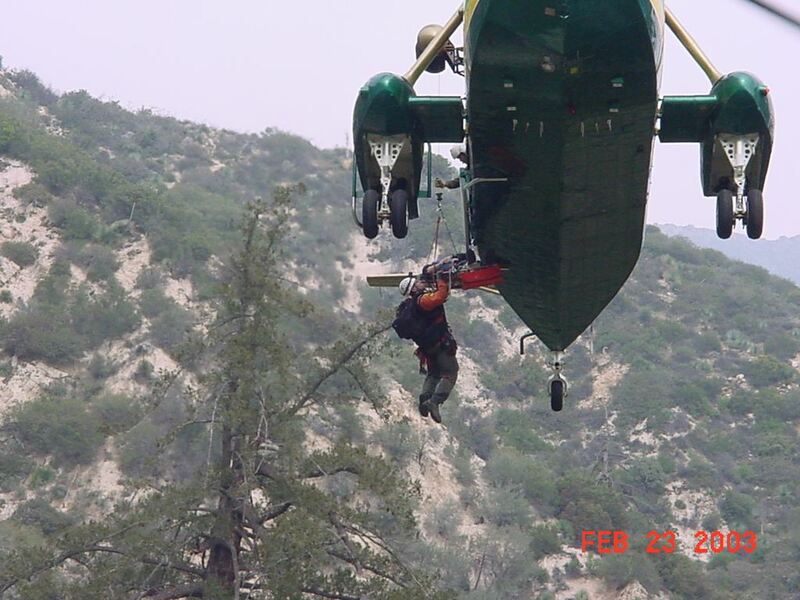 This pilot clearly knew what he was doing as he approached the rescue site well within the canyon, and lowered the rescuers. 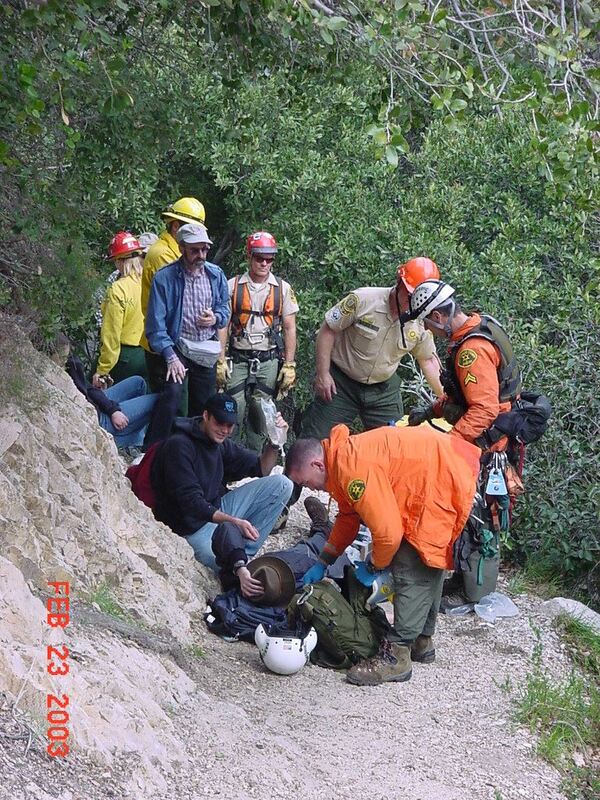 Splinting a hiker's broken leg. 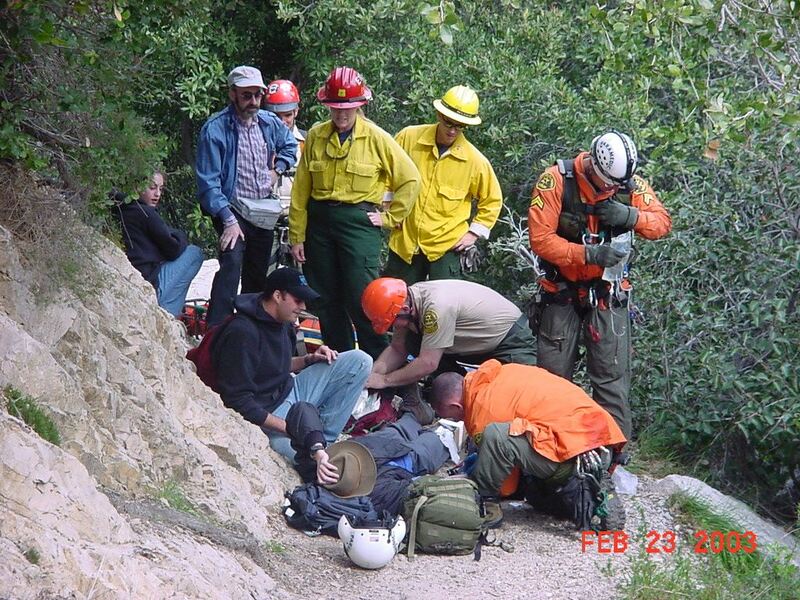 The rescue worker with his back to me is a Los Angeles County Sheriff, so in addition to the large assortment of climbing gear hanging from his belt, he also has a large handgun on his right leg. Hiker's friend holds a trail side I-V. I stayed back about 30-40 feet. 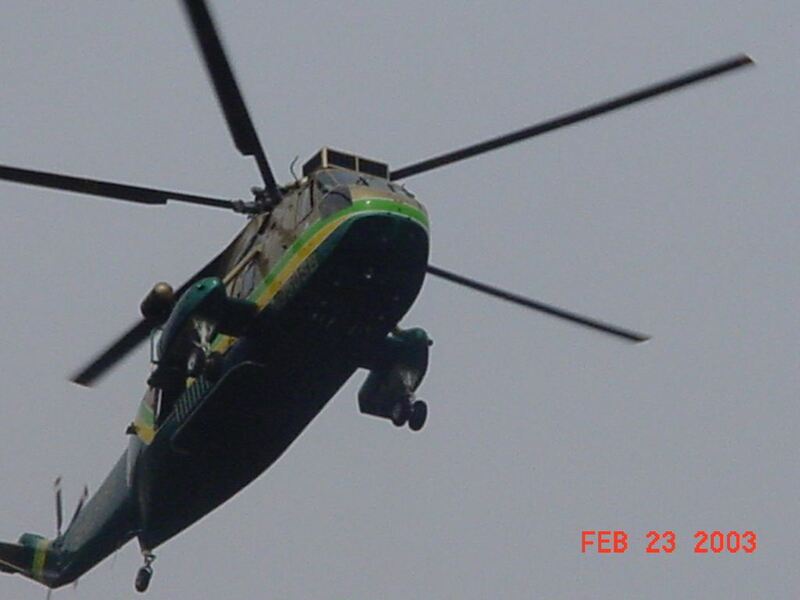 From what I could see, the rescue workers were very thorough, professional, and friendly. Raising the litter to the copter. Notice the rescue worker hanging from the side of the litter! Placing the litter inside the copter. And off they go to a local hospital. 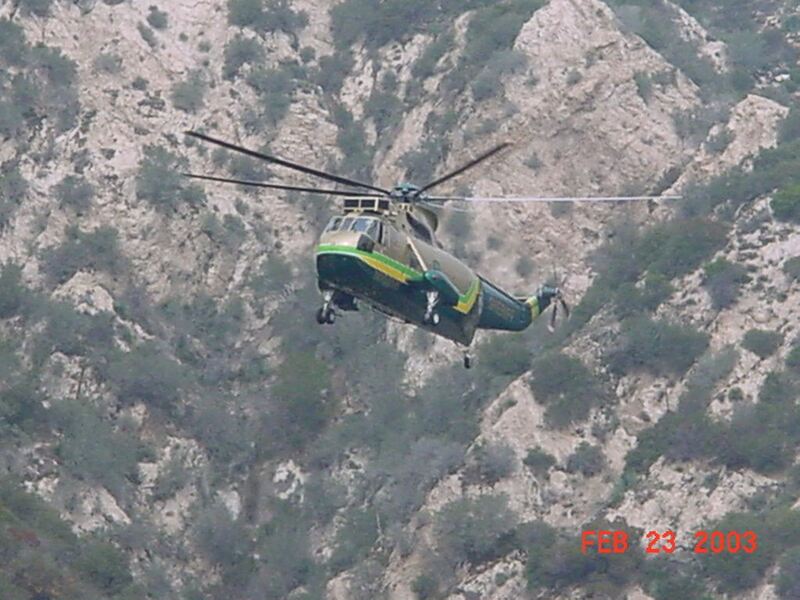 Kudos to the Los Angeles County Sheriff Department Rescue Unit 5! 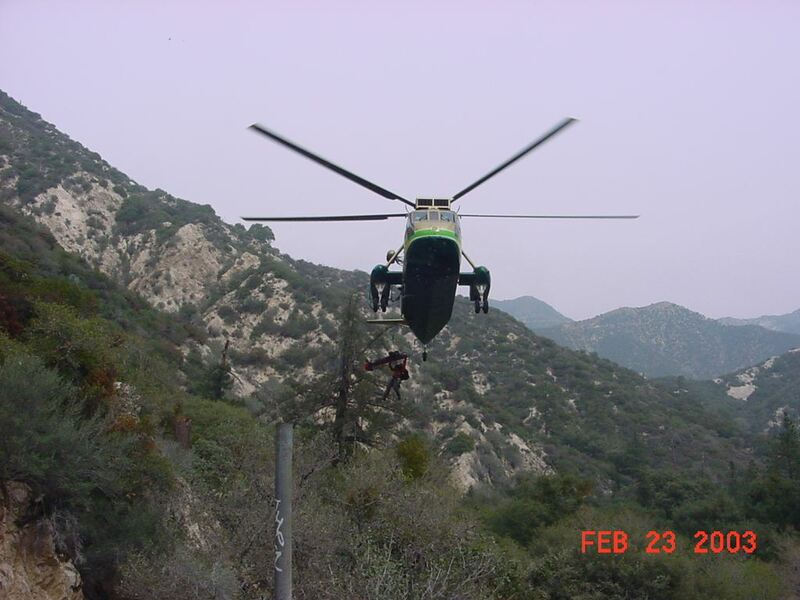 For more information on the Altadena Mountain Rescue Team, go to http://www.amrt.org/. Copyright © 2006 by Bill Qualls. Last updated May 29, 2006.